The Harrington name has been synonymous with the Sand & Gravel business for over 50 years. Sand & Gravel extraction commenced in the early 1950's from various pits in the vicinity of Kilkelly, Co.Mayo. 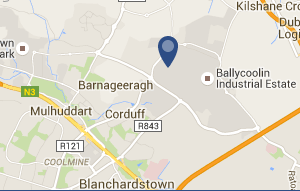 In 1971 the landholding at Cloghvoley, Kilkelly, was purchased and the Head Office established. Frank Harrington Ltd was formed in 1973. From the mid 1970's to the mid 1980's, the business grew and the Company completed a number of major civil engineering contracts, including the distinction of being the main contractor for the construction of Horan International Airport Knock, now known as Ireland West Airport Knock. Harringtons were looking to move to a more automated, improved and less expensive solution for managing paper documents within the business. The company is spread over several sites in the North West of Ireland and broadband connections between the sites is not always possible. With a large number of weighbridge and delivery dockets, each site is treated as a separate business unit and managing this paperwork was time-consuming. The company decided to implement TRAX with advanced OCR (Optical Character Recognition) software to automatically file paperwork by unique docket references. These references are verified against their core business management software based on date, which creates exception reports for missing paperwork. Now all sales transaction paper work is immediately accessible to multiple network users by docket number, account code, order number, date, depot etc.. TRAX is also used to manage all supplier paperwork, purchase invoices and goods receipt notes.